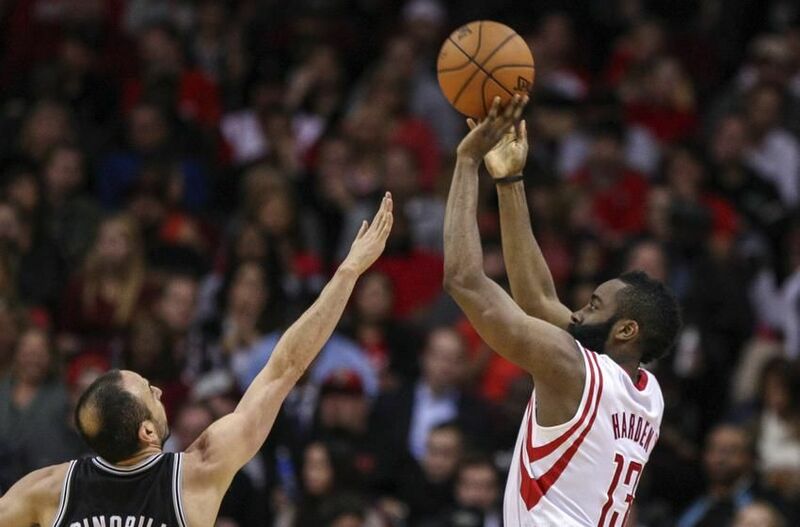 James Harden is now officially the king of the Euro-step according to the originator. For years, the best Eurostep in the league belonged to San Antonio Spurs guard Manu Ginobili, who adapted it as an essential part of his arsenal. Harden, who averaged 27.4 points, 7.0 assists and 5.7 rebounds a game last season, owns a lethally diverse repertoire. When asked about specific on-court influences, he cites three: Bryant’s monomaniacal drive (no one carried a heavier offensive load last season than Harden); Manu Ginobili’s southpaw creativity (the maestro of the Euro step now deems Harden’s the best in the league); and Paul Pierce’s blend of pace, trash-talk and step-back jumpers. But it is a more polarizing trait that brings Morey to replay transition buckets with the lonely righteousness of Galileo discussing the orbit of Earth. Harden has made the move his, and 9 times out of 10, it gets him a bucket or a trip to the foul line.